These adapters will not work in South Africa. 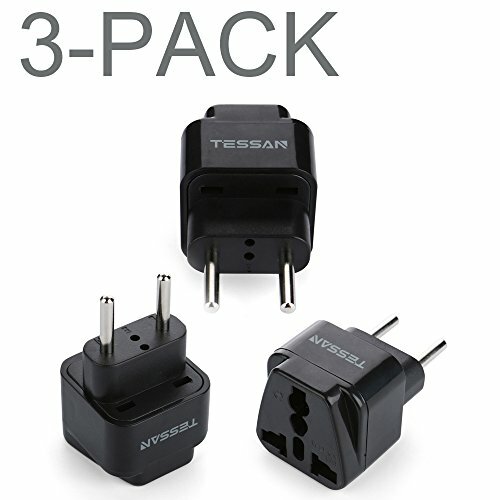 •1x3 Pack 3 Prong Grounded Plug Adapter. Universal,for more than 150 countries (except parts of Africa),universal conversion plug no voltage function,can not change the voltage,generally go abroad to carry digital products can be directly applied,without pressure, such as: notebooks, mobile phones,cameras,MP3 and other low-power electrical appliances;high-power electrical appliances such as microwave ovens,rice cookers,hair dryers,etc.also need to buy a dedicated transformer!